Chalk up another blow against the rapidly crumbling edifice of the Common Core educational standards — this time courtesy of an Alabama state senator who suddenly, but fortunately, changed positions as he considers a run for the U.S. Senate. Reformers against Common Core, and for more local control of education, surely will accept this well-timed conversion with gratitude, no matter what factors motivated it. In February, I reported on new Florida Gov. 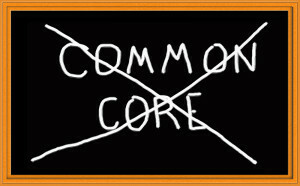 Ron DeSantis’ moves to remove Common Core from his state, which would make it the fifth state to repeal the standards after having once adopted them. Alabama now stands on the verge of being the sixth, as well it should. In Alabama, despite its reputation for educational backwardness, K-12 educational attainment by 2011 ranked a solid 25th among the 50 states, according to Education Week magazine. Alas, that was the year the Core was adopted. After seven years of Common Core, by 2018, Alabama’s rating had dropped to 43rd. Education policy in Alabama is usually the province of an elected state board of education, but any state legislative act, duly signed into law, can override the board’s policies. The board, dominated by the state education establishment, refused to repeal the Core even as test scores fell.